When I first started thinking of actually starting my own cake business, my great-Aunt sent me an article about a woman who had started her own cake business. 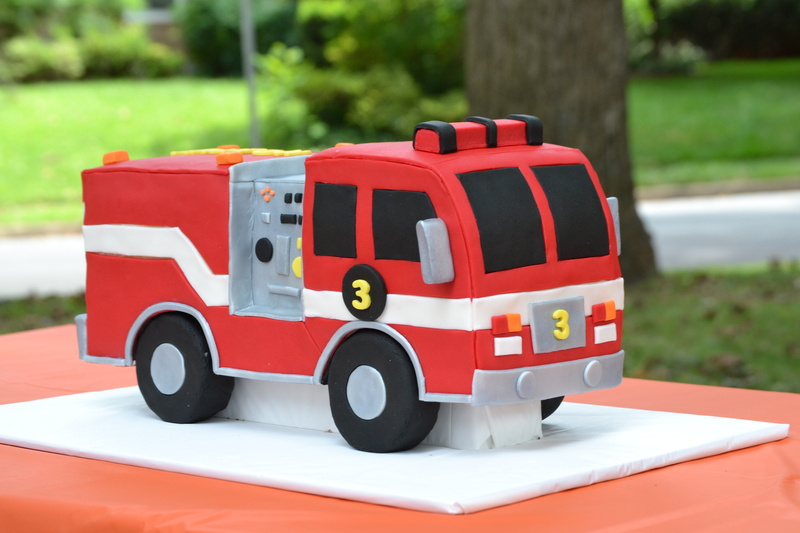 In the article, one of her featured cakes was a fire truck cake. As soon as I saw it, I knew that I wanted to do one and promptly decided that regardless of whether or not he wanted it, my son was going to be having a fire truck themed third birthday! (If you would like to see the other ideas I had for his party, you can check out my Pinterest page.) To create the cake, I used two 11 x 15 inch cakes that I cut in half, stacked, and carved. For the silver accents, I was able to find edible spray paint which I think adds an extra nice touch.